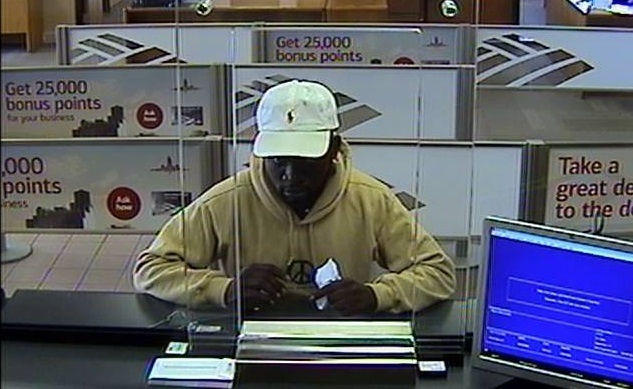 PALM BAY, Florida - The Palm Bay Police Department is searching for a black male suspect in connection with an attempted bank robbery that occurred at a Bank of America located at 4710 Babcock Street NE in Palm Bay, Florida. According to police, the attempted robbery occurred around 9:42 a.m. Friday. However, the suspect did not have a weapon and nothing was taken from the bank. According to statistics from the Federal Bureau of Investigation, most bank robberies in the southern United States on Fridays between the hours of 9 a.m. and 11 a.m.
An active investigation is ongoing and police ask that anyone with information please contact Crimeline at 1-800-423-TIPS.